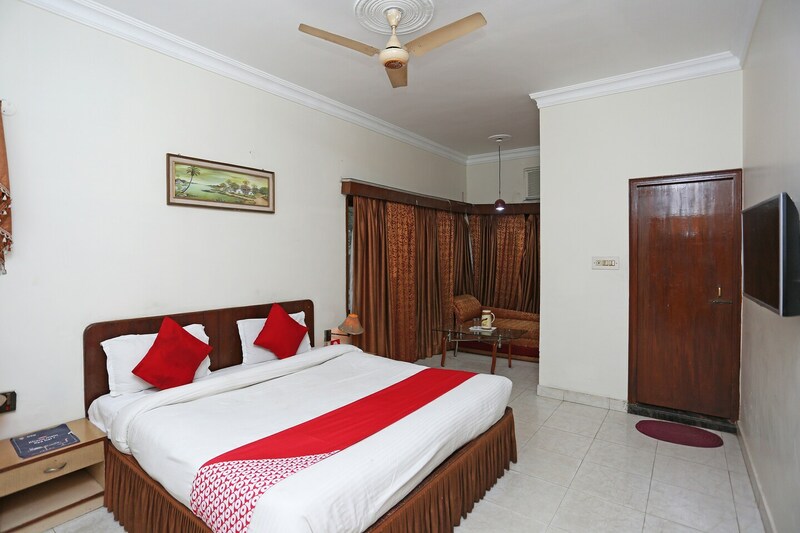 With its easy accessibility to many key attractions, OYO 2257 Hotel MM Continental in Varanasi offers you the best services, experience and comfort at affordable rates. The well trained and friendly staff of OYO maintains the property and ensures your stay is smooth. Our rooms are tastefully furnished and offer amenities like AC, Geyser, Conference Room and a lot more. Take a tour of the Varanasi and explore key attractions like St. Mary'S Cathedral, Bharat Mata Mandir and Shri Kashi Vishwanath Temple. Need cash? There is ICICI Bank ATM, Bank of Baroda ATM and Union Bank ATM nearby this property.